ARUA – Maj Gen Mugisha Muntu’s presence at Kassiano Wadri’s thanksgiving party in Arua Municipality on Sunday has raised debate about his role in the People Power pressure group associated with Kyadondo East MP Robert Kyagulanyi aka Bobi Wine. 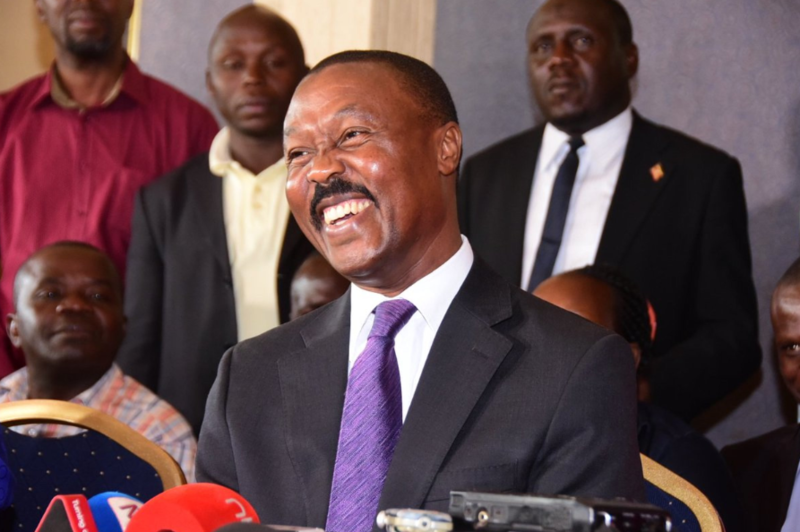 Gen Muntu, who is the former Forum for Democratic Change (FDC) president, has since formed a new political party that has been gazetted by the Electoral Commission. He was the chief guest at the thanksgiving ceremony organised by Mr Wadri for his victory in the chaotic Arua Municipality parliamentary by-election where he together with fellow legislators subscribing to people power such as Gerald Karuhanga (Ntungamo Municipality), Robert Kyagulanyi aka Bobi Wine (Kyadondo), Francis Zaake (Mityana Municipality) and Paul Mwiru (Jinja East) were arrested and later charged with treason. And on Sunday, all the ‘People Power’ legislators were in attendance, including Bobi Wine, who had only touched down at Entebbe International Airport following his exertions in Dubai, United Arab Emirates, where he had a music concert. At the function held at Arua Hill Primary School play grounds, Gen Muntu sat with Bobi Wine and the two were seen occasionally exchanging jokes and pleasantries. Many commentators view this as a sign that the two leaders may work together in a coalition of sorts in the 2021 elections. In his speech, Gen Muntu said Ugandans should use their mind to fight those in power wielding heavy guns like tankers and rocket-propelled grenades to threaten them. Mr Wadri said he would continue to offer good representation to the pressing issues like intermittent electricity that has stifled development and fight corruption in his constituency. Earlier ahead of the function, there was heavy police and army deployment in Arua Town, which reminded the residents of the August 13, 2018 chaos. However, thousands still turned up and graced the occasion. In his remarks, Bobi Wine thanked “our comrade Hon Kasiano Wadri for organising an amazing thanksgiving ceremony”. “The people of Arua once again stood firm amidst all the insane military and police deployment and showed up in large numbers chanting #PeoplePowerOurPower. Arua, We can never take your love for granted and will always hold you in high regard,” he said.